The FreightDATA Credit & Collections system remedies two office deficiencies: (1) under billing losses and (2) flawed credit and collection. Slow pays and non-collectibles are hard to deal with no matter how many people you hire. Perpetual Self-Adjusting Credit Rating allows a customer's rating to change. When a customer has a transaction, FreightDATA re-rates the customer based on your criteria. (For example, lower rating when more than 10% of balance is over 90 days.) It's an objective and automatic process. 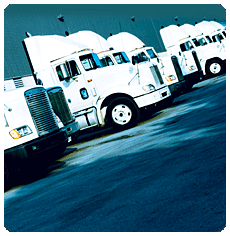 When entering B/L's, FreightDATA checks each debtor's credit status. If the status is below acceptable standards, all shipments are automatically locked into a hold file. D/R's will print with "*REFER TO OFFICE*" or other message of your choice. All shipments in the "hold" file print on each debtor's credit report. For freight to move, you must release the credit hold. Automated each night, the system analyzes every account. Statements and collection letters (in a series of increasing severity) print for each past due account. Display any account's analysis, history, aging, and collection notes at any time. If a customer wants freight bill copies, a single keystroke will trigger them to print. Collection notes logged include check promises, bill copy requests, telephone conversations, memos, etc. When a customer promises to send a check, suspend automatic collection letters until a specified date. When payments are received, automatic collection effort ceases, but the collection history remains in the debtor's computer file.